I have had this post sitting in bullet point form in my drafts since April 2015 when the RBM first launched. I can't remember why I didn't post it back then but I think it's time to dust it off, tart it up and open it up to the world. Why now? Well, the RBM is growing bigger and better everyday but I still don't think it gets quite the attention it deserves. So for all it's worth, I'm going to shine my little blog spotlight on it. 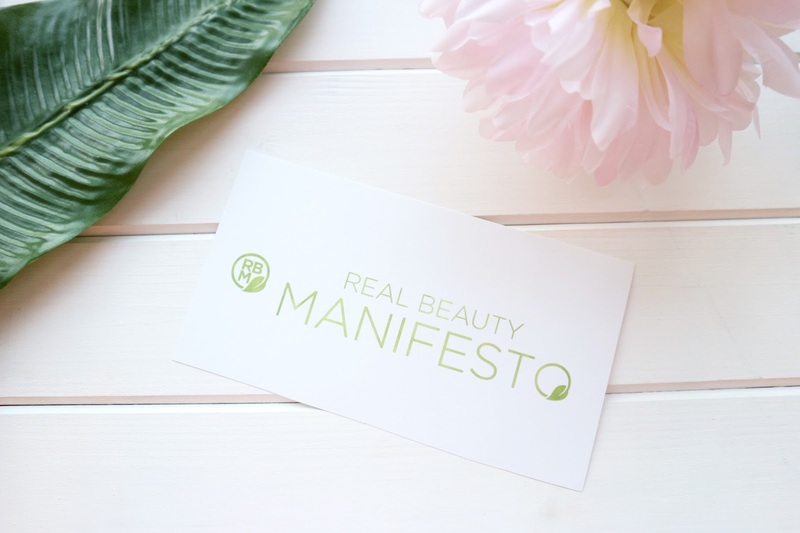 What is the Real Beauty Manifesto (RBM)? Launched by Sonia White, the RBM is a collective of natural and organic advocates and brands that have the aim to unify the world of natural and organic beauty to create a consistent level of sustainability and honesty. We all know that in the world of beauty the words 'natural', 'organic', 'clean', 'toxic free' and so on and so forth can be used whenever and wherever they like. Certifications for organic beauty have been growing more prominent over the years with the help of COSMOS combining Soil Association and Ecocert etc together. Yet it is not a legal requirement and it only applies to organic. Similarly there are certifications for the term 'natural' though they are few and far between. The RBM aims to go that one step further. Their guidelines encompass organic and natural but also look at, to use their terminology; sustainability, integrity, community and compassion. They are there to help us know that a product is not only natural and/or organic, but that it has been made with the utmost care and consideration to the environment and workers etc. What do the RBM stand for? Who's part of the RBM? There's more and more brands joining up to the Real Beauty Manifesto all the time including brands such as: Madara, Balm Balm, LoveLula, Nailberry, Bodhi & Birch, Vertue, Soil Association and loads more! To see a comprehensive list check out their supporters here. You can also join yourself - It's free to do so. There are loads of brands on this list but to see if your product is part of the RBM, look for the logo. This is what you should look out for. More and more products are including the RBM logo like this Balm Balm Rose Floral Water Hydrosol.